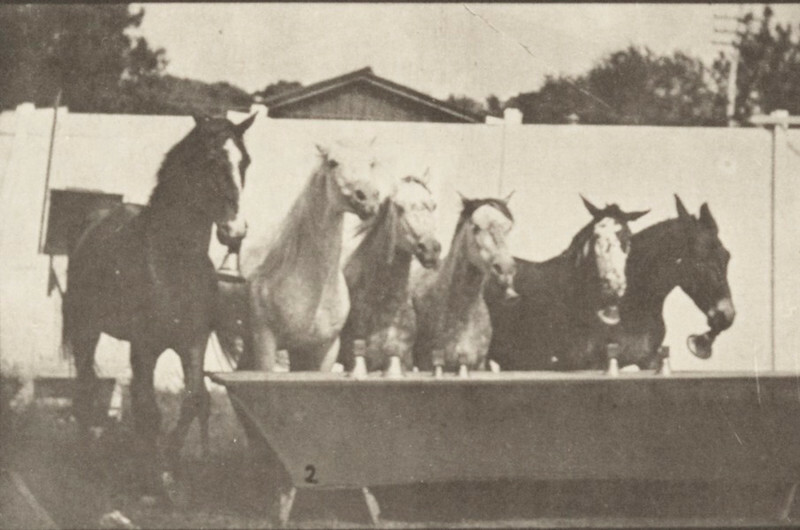 Horses listening to bell ringing. This is plate 651, captioned "A: Bell ringing. B: Teeter board. C: Military drill".